Summer is lurking around the corner and it will be no time when we immerse our feet into the hot sand and take a swim in salty water (or at least pay a visit to your nearest swimming pool). While the anticipation builds for all of the summer’s plans, the most important question remains: What do I wear? Luckily, Miami Swim Week gave as pretty much a clear picture of what this swimwear season will look like, and we must admit that we are absolutely thrilled about the upcoming trends. Some trends from the last season, such as extreme cut-outs and sporty cut-away bikinis are still on the top, while we have spotted a number of new and exciting trends. Check out the latest trends below. Spotted on Swim Week – long sleeves are effectively taking over the scene. We have seen them on Belusso, 6 Shore Road, and Acacia, and we will continue on seeing them on the beaches this summer. No longer are the long sleeves reserved for surfers- now, ordinary beach visitors are wearing them, too. This look is a fresh take on swimwear fashion, and we salute the risk. Long-sleeve swimsuits can be found in different varieties, from sleek and sophisticated, to fun & playful. The beginning of the year was celebrated as the season of metallic, and there are ways for everyone to wear it. Furthermore, it is the choice of the year for weddings, so that naturally transitioned into swimwear fashion. Gottex, Belusso, and Hammoc showed us how to rock this trend (in accents or full metallic). Not only it is a great way to shine, but it will also make your sun kissed skin look even more amazing. Remember last year’s and still present trend of cut-outs? Well, this one is a similar trend- only now, the cut-outs are covered with sheer material. The design is ideal if you want to combine your outgoing and bold personality with your more conservative side. The fabric designs are made in a way which is contouring the body, while enhancing your finest features. High-neck halter is the ultimate hit of 2016. Halters can be very flattering for your back & shoulders. This year’s models come in a variety of styles – from sporty to pretty prints. Animal prints perhaps seem a bit ‘80s, if you ask us, but there is no denying they will be just as big now as three-four decades ago. Safari-vibe is very chic right now, so earthy colors & jungle animal prints look best. They will highlight sun kissed skin. Amp up the fashion factor with an African head wrap or a simple floppy sun hat. If you are on the lookout for a flattering bikini that elongates your body and looks gorgeous – search no further. The upcoming season brings us the new trend of a long top – a 2016’s take on the last year’s trend of high waist. This twist on traditional bikini top is super stylish and easy to wear for different body types. 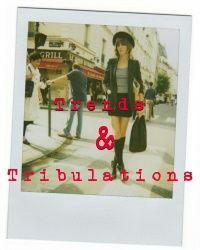 Though we have seen so many new fashion trends on the runway, these six innovative trends stood out amongst the crowd. Will you be wearing any of these trends on the beach this summer? If so, which ones? Mother’s Day is right around the corner, and it seems like no gifts can ever really tell the mother figure in your life how much you appreciate everything they’ve done for you over the years. While Mother’s Day is so much more than just gift-giving, it’s a way to show gratitude and appreciation for someone who has taught us how to love selflessly through their own actions. Check out the guide below for some unique and thoughtful gifts to give to the mother figure in your life. What are your favorite picks for Mother’s Day? Spring is here, and there’s no better time to welcome it than by eliminating all of the unnecessary clutter in your life. Check out these easy tips for organizing your closet (which is recommended as the first place to start when cleaning out your home), divided into 5 tried-and-true steps. I’ve recently been inspired by Marie Kondo’s “The Life-Changing Magic of Tidying Up”, and man, does it feel good to part ways with things that are not *sparking joy* (read that decluttering bible– see for yourself). Enjoy! Are you planning on doing spring cleaning, or do you have any tips to add on? Share in the comments section below! Let’s get real: Nobody is going anywhere cold for a Spring getaway. Which means, of course, that you’ll need an ultra-alluring swimsuit as a reminder to motivate you every time you find yourself debating between the gym and episodes of American Horror Story (spoiler alert: Hotel is no good. Go to the gym.). Check out the top picks below in all different price ranges, colors, and styles to fit every body. What swimsuit styles are you loving this year? Are you planning on going anywhere exotic? I’ve been a huge fan of derma e beauty products for about 6 or 7 years now, ever since I discovered them at a local natural foods store (shout out to Fresh & Natural Foods!) years ago. I was drawn to their line by their passion for using nature’s ingredients, such as vitamins, minerals, and botanicals, to improve the condition of our skin and health. Basically, I was sick of using products with so many chemicals that I was entirely unable to pronounce and wanted to actually know what ingredients I was putting on my skin and being absorbed into my body. I absolutely loved their products, as they were gentle yet effective. So, when derma e approached me recently to test out some of their newer products that are now available at Target stores, needless to say, I was thrilled. I tried out their Firming DMAE Eye Lift Crème, which I’ve been using twice a day for about a month or so now. I have to say, those pesky little baby 25-year old crow’s feet wrinkles that were creeping up seem to have recessed back, while the skin around my eyes looks firmer and smoother than before. I’ve received numerous compliments on my skin in the past couple weeks, which I can only think is a good thing. Let’s talk a little bit about why I like this eye cream so much. It contains DMAE, a widely-acclaimed skin-firming nutrient, that is clinically proven to boost collagen for firmer, more resilient skin. It also contains InstaLift® Goji Berry glycopeptides, which work to add further firming, lifting and tightening antioxidant power. Then, these little bad boys known as advanced peptides, two of which are called Argireline® and Matrixyl® synthe’6® work together to soften facial muscles and synthesize new key components such as collagen, helping smooth wrinkles and discourage new lines from forming. And of course, powerhouse Hyaluronic Acid infuses a surge of cooling eye moisture helping leave skin soft, smooth, tone and rehydrated. #NOTICETHELOTUS at Target in 2016…derma e has arrived! Have you ever tried derma e products before? The next time you find yourself scouring the aisles of Target, be sure to check them out and let us know your thoughts in the comments below!